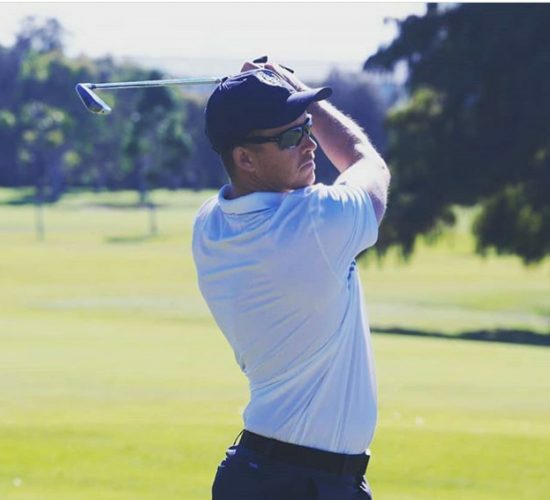 The Brisbane Golf Club has made a wonderful start to the defence of their BDGA division 1 pennant title with an important away win against Royal Queensland Golf Club yesterday. BGC were well aware of the how impressive RQ had been at home last year in Division 2 giving up just 7.5 points out of a possible 63 and the tough match they expected eventuated. Whilst the 11-10 win was by the smallest margin possible, it provided the perfect start to the season. Away wins are valuable and BGC were the only team across all four divisions on the weekend to secure points playing away. There were a number of highlights from the day’s play and in such a close match each and every one of them was equally as important. Our Open’s produced a valuable 5.5 points across their 11 matches with our ‘Big 5’ of Cox, Flynn, Powell, Dobbelaar and Carlson securing 4 points from a possible 5 points away at the top. This was an extraordinary performance away from home and was assisted by debutant Wade Edwards who won 1up and Tim Lukin who squared his match. Club Champion, Steven Cox, was courageous having been released from a 10-day hospital stint on Tuesday and only narrowly losing in the number one spot 1 dn. At one stage our Opens were ahead in 9 of 11 matches with RQ fighting back hard, as expected at home, to reduce the deficient in the end. Our Juniors continued their incredible form of recent years defeating RQ 3-2. Both clubs have exceptional juniors and should be proud of their impressive programs. Sam Slater and Jordan Hampson won their matches whilst Katio Chiu and Bailey Ittensohn each squared theirs. Hampson coming off two wins at the Meadowbrook Junior Classic and The Middle Range Junior Open last week continued his recent form by winning 4&3. Slater’s 2 up win against Bailey Arnott, the grandson of former BGC secretary-manager, Bob Nixon-Smith, was the difference. BGC and RQ couldn’t be separated in the Masters with both teams securing 2.5 points each. Rick Davenport, replacing Gary Brodie at number one, won his match 1 up whilst Warwick Oxenford defeated his opponent 3&2. Scott Bretherton who was making his debut in the Masters, after playing in the Opens in recent years, squared his match. The Masters are looking to secure their fifth Masters pennant in a row in 2018. RQ have a chance to follow in the steps of BGC after winning Division 3 and Division. 2 over the last two years and based on their performance yesterday they are well placed to do so. They have an extremely talented team and their match against Keperra Golf Club at RQ next Sunday will be important for both teams. In the other Division 1 match played yesterday KGC defeated Nudgee Golf Club 13.5-7.5. BGC will play Nudgee Golf Club at home on Sunday, 22 July 2018. Nudgee Golf Club have been regulars in Division 1 for a number of years and are multiple winners of this title. BGC is again preparing for another tough match. Members are encouraged to come out and support the team with matches teeing off from 7am.